All the way back in September of 2013 was when we got our first look at Lily James as the titular Disney princess in director Kenneth Branagh's new live-action version of Cinderella. 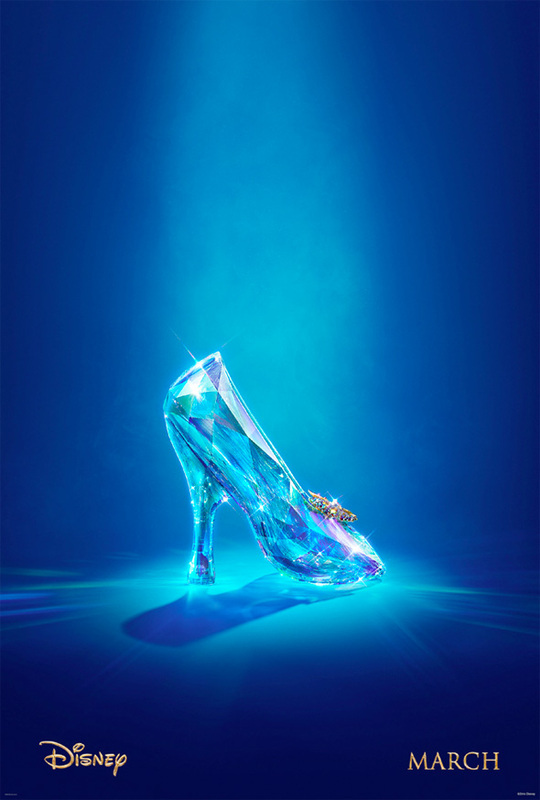 The film is due in theaters in March of 2015, and now the first poster and teaser trailer have arrived, highlighting the most iconic part of this fairytale: the glass slipper. We don't get to see any footage from the film itself, which also features Cate Blanchett as the wicked stepmother, but it's a classic tease for a film that anyone will immediately be intrigued about. We're not sure what to expect from this live-action take on the familiar story, but we'll see. I like it. It sorta (hopefully) sets the tone of the film away from trying to be dark and fantasy like, but immediately has that classic Disney feel to it. Here's to hoping it stays true to that. Pretty but totally unwearable. Person will have to be tilted forward to wear that torture device. Let's hope Cate Blanchett and Kenneth Branagh makes this worth it. Yea Cinderella will be breaking some ankles in March. It's supposed to be glass slippers not glass stilettos lol. I cannot wait for Blanchett's performance. What if Disney did like an EXPENDABLES style film for Evil Step mothers? So good. Jolie, Blanchett, Sarandon, Huston... That could be so freaking incredible.